• Vertical capacity - 6,400 lbs. • Choker capacity - 5,000 lbs. • Basket capacity - 12,800 lbs. • Custom lengths & sizes available upon request! All of our web slings are USA MADE out of the high quality polyester material. 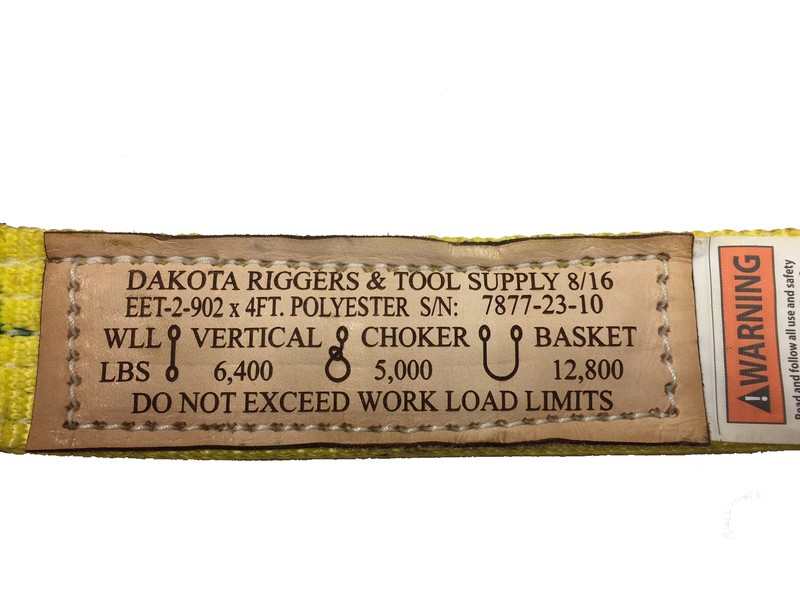 Each sling comes equipped with a heavy duty leather tag showing the lifting capacities, serial number & a sling identification number. 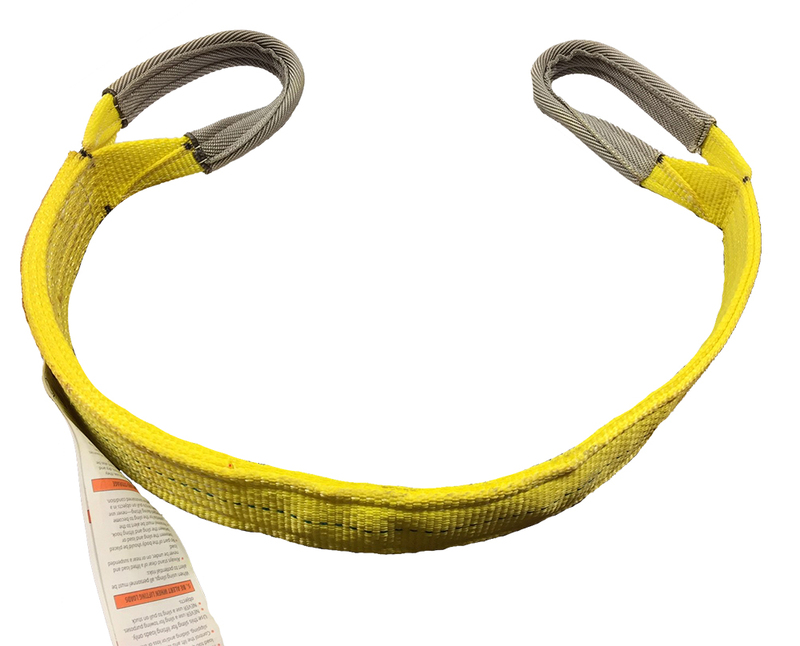 The eye & eye sling is a versatile sling for use in choker, vertical and basket hitches. 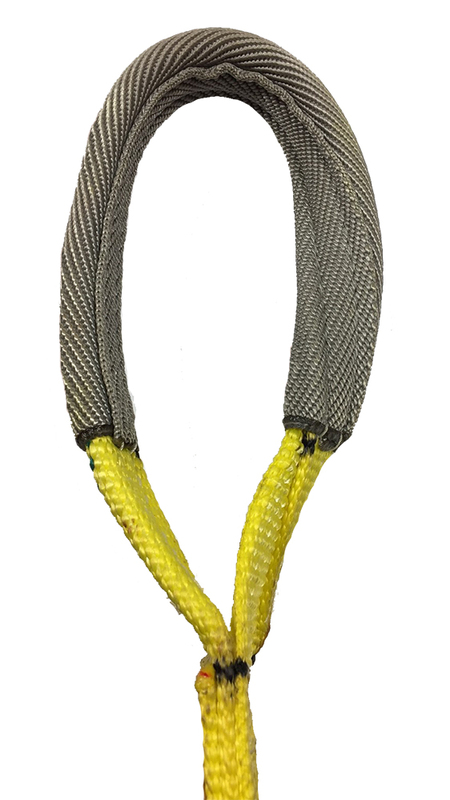 All of our eye & eye slings come with half twist and tapered cordura lined eyes.